As in sports, so in business – The best prepared team wins! Staying competitive in the 21st century will be directly related to your ability to adapt, grow, and continually improve your skills. Unfortunately, the one thing people don’t have a lot of today is time. For this reason, I’ve written a series of small mini-books: 40-70 pages with lots of images and quotations. I wrote these mini-books for all the folks in leadership positions, regardless of education level: from store manager to Owner/CEO, and every leadership position in between. 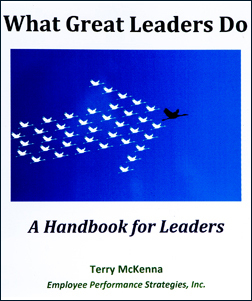 Consider these books a leadership development program for your current and future leaders. These books are important because they enable leaders to continually update their knowledge and skill sets. We live in a faster-moving, constantly evolving, more uncertain world. Success has never been more fleeting. Knowledge and skill sets are becoming obsolete at a quicker pace. As a result, relevance should never be taken for granted! If your leaders skill sets are behind the curve, or worse, obsolete, your organization is at risk. These books will help ensure that your organization’s leaders not only keep pace, but get out in front of the change curve by re-tooling their leaderships skills. This results in a competitive advantage for your organization. Out in front of the curve is where you want to be - and stay. These books will get you there by helping you build organizational muscle! Building capacity for continuous renewal. Leadership is the driving force behind all successful organizations; it’s what distinguishes greatness. Ironically, leadership - true leadership, is in short supply today. The gap between the importance of leadership and an organization’s leadership capabilities is widening. In a fast-paced, hyper-competitive global economy, if your organization doesn’t have genuine leaders at all levels, you’re on a path toward disaster. 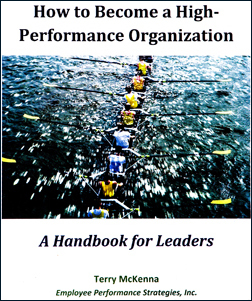 This book will get your organization’s leaders on the right leadership path and keep them there. High-Performance Organizations (HPOs) consistently deliver superior results, regardless of the economy, competition, market shifts, and new disrupting technologies. How do they do it? By attracting, developing, retaining, and maximizing superior job performance from their workforce. You can’t build a HPO with slackers! But having the best people is only half of the performance equation. HPOs have developed a powerful infrastructure that facilitates not impedes high-performance. HPOs have cracked the code of transforming human capital into serious financial capital. This book will teach you that code. In a highly competitive, over-crowded marketplace, the goal is to stand out from the crowd. If your brand doesn’t stand out in the minds of consumers, you’ll quickly fade into the background. Sameness is the quickest path to mediocre results and eventual irrelevancy. Today’s consumers are more demanding, have higher expectations, and more choices than ever before. Because of this, today’s consumers are continually pushing the buying experience bar higher. To win, you need a strategy that connects you to your customer’s hip: understanding who your customers are (Segmentation), and targeting the most profitable and loyal customers (Targeting). This book will differentiate your brand and give you the ultimate competitive advantage. Strategy is about one thing and one thing only – winning! Great organizations choose to win vs. merely compete. Competing simply to participate is self-defeating, and is a recipe for mediocrity. Winning is what matters. And winning cannot be accomplished without a game plan. Strategy is your game plan for winning. How did David beat Goliath? David had a strategy! This book will teach you the key components of developing a winning strategy; a strategy that enables you to dominate your competition. Why Should You Order These Mini-Books For Your Organizations’ Leaders? Because you want to gain a competitive advantage over your competitors, and profitably grow your business today, not tomorrow. The marketplace isn’t going to hand you anything; you have to create your own success. These mini-books will help you create that success! Boost employee productivity, resulting in greater business results and human capital ROI. Greater strategy, store-level, salesforce, and operational execution. Achieve a competitive advantage if your competitors don’t purchase these books. These mini-books are priced so that everyone in your organization can have their own personal training and development handbook. 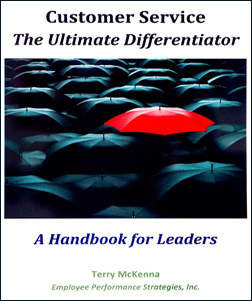 Terry McKenna is an internationally acclaimed speaker, author and consultant on the topics of human capital optimization and organizational design: people and systems. Terry’s most recent book, Hire the Best C-Store Employees – Interviewing Tactics for Hiring Employees Who Can Actually Make You Money, was a #1 seller in the convenience industry. Terry has been featured in The Wall Street Journal and the Harvard Business School corporate training video, Benchmarking Outside the Box. 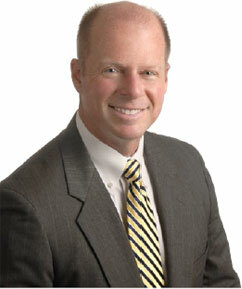 Terry is principal and co-founder of Employee Performance Strategies, Inc. (EPS) founded in 1997. EPS is the leading authority in helping organizations achieve greater financial results by maximizing employee job performance. EPS develops high-performance workforces through training, organizational design, and process improvement. 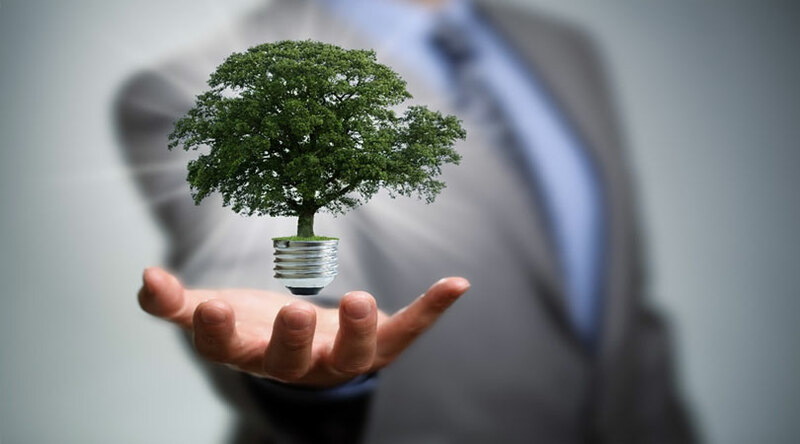 EPS is unique in their depth and breadth of experience in understanding and relating to business owners and their employees, due to their extensive history and focus on people-based strategy development and execution. Prior to founding EPS, Terry worked 17-years with ExxonMobil Corporation – U.S. Marketing Division. While at ExxonMobil, Terry led the development and implementation of a national customer service strategy, in addition to leading the achievement of ISO-9002 Quality Certification for customer service for convenience stores for ExxonMobil’s Singapore marketing affiliate. I would love to have your feedback on what you think of these mini-books. Were they of value to you and your organization? If so, please leave a comment below. Thank you! Read what people are saying about Terry's books. How would your business benefit if there were two of you? How would your business suffer if you were no longer around? If you currently have a #2 in command, how do you know for sure they’re the right person for the job? Identify & Develop Your #2 in Command is a one-day strategy summit that will teach you a process for identifying and developing the best candidate for your #2 in command. Organizations don’t need another training program. What organizations want and need is results. And results are achieved through performance! VPC is a cost-effective, subscription-based, online performance coach that will help your store managers achieve greater store success by becoming leaders of people vs. managers of tasks.